What a great opportunity we had! 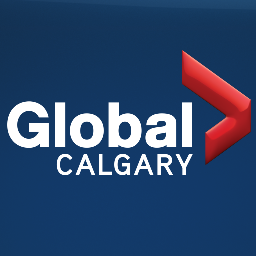 YYC Junk was fortunate enough to get major exposure by being featured on Global News of the Global Television Network here in Canada. We along with our friend Eric Neba of VSC – Cameroon were interviewed by Gil Tucker in order to show what YYC Junk offers to people in Calgary and in surrounding areas. Your browser does not support frames. <a href=”http://globalnews.ca/video/1825844/gil-tucker-trash-treasures”>Click here to view the frameless video.</a>. YYC Junk provides that special service to people. We take your throw-away items and give them new life and a new home where they can be appreciated once again. Most people are unable to make this service happen on their own. That’s why we’re there to help. We feel our mission and vision were made very clear in our time with Gil Tucker. It blows our minds that it is possible to ship someone’s stuff all the way to Cameroon in order to support sustainable economic programs there and to meet the needs of the families in poor regions like that. We are so happy to be a part of such an amazing endeavour. Thank you to Gil Tucker of Global News, and thank you to Eric Neba for working with us. We hope this will further the cause of YYC Junk in a big way. Check out the whole interview and video here.